Today's Piri Sojourner is Amanda. I asked her to write a post for me because Amanda knows what it is like to be a lonely expat mum trying to fit in family life with other commitments. She recently moved to Morocco and I love following her adventures and passion for all things food and travel - my kind of girl! 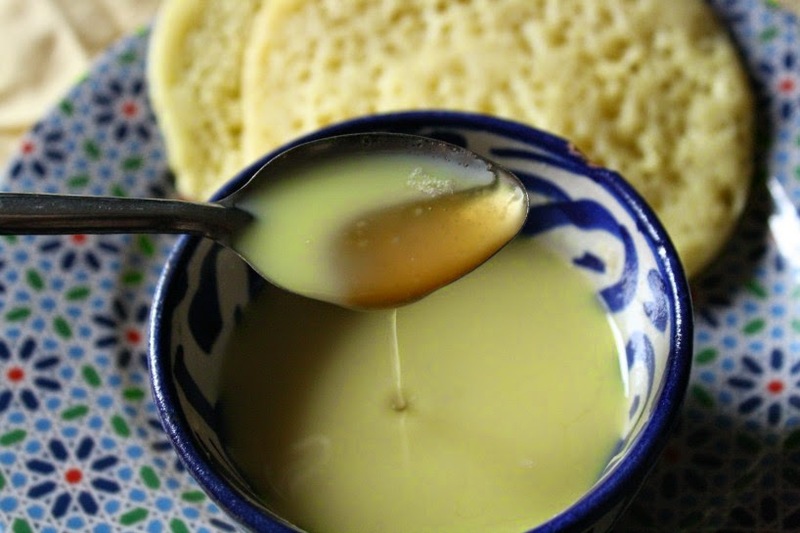 Here she shares her recipe for a Moroccan pancake my husband and I loved when we went to Morocco. We have never tried cooking it at home, but I guess we have no excuse now!! As an American expat living in Morocco there has been a steep learning curve when it comes to cultural expectations and practices. Some days it feels like I am relearning all of the social protocol I have been raised with in light of my new circumstances. Rituals and practices surrounding child birth, illness, and life celebrations have been the most difficult to navigate. There’s been so many times when I’ve felt like it would be so much easier if everything I knew to be true were still true! When Annabelle asked me if I would be interested in sharing a guest post for her while she recuperated from giving birth I of course said yes! If in my day to day life offline I’m confronted with situations I’m unsure how to navigate I can at least find comfort online! In the United States it’s really common for friends and family of a new mother to bring food for the family to take the pressure off of mom and dad and getting mom feeling better. So in my own way I am “delivering” this small meal for Annabelle. I only wish I could rush a plate up from Morocco, and give her little boy a snuggle while she has some rest time! 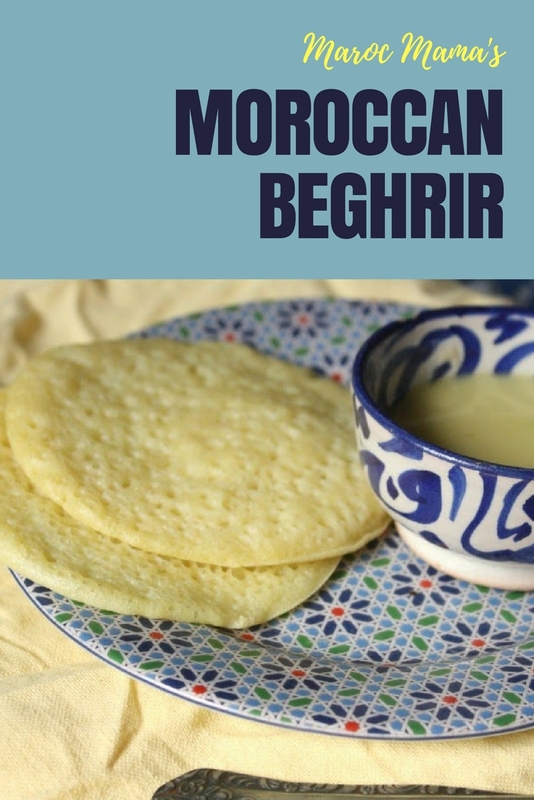 This is my recipe for Moroccan beghrir, a pancake that is very popular throughout the country. 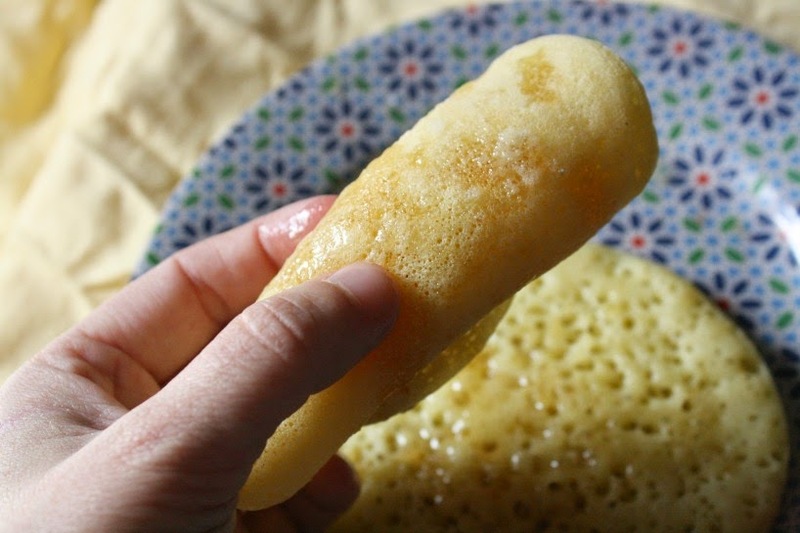 They’re known as the 1000 hole pancake due to the dozens of small holes that form on the top. 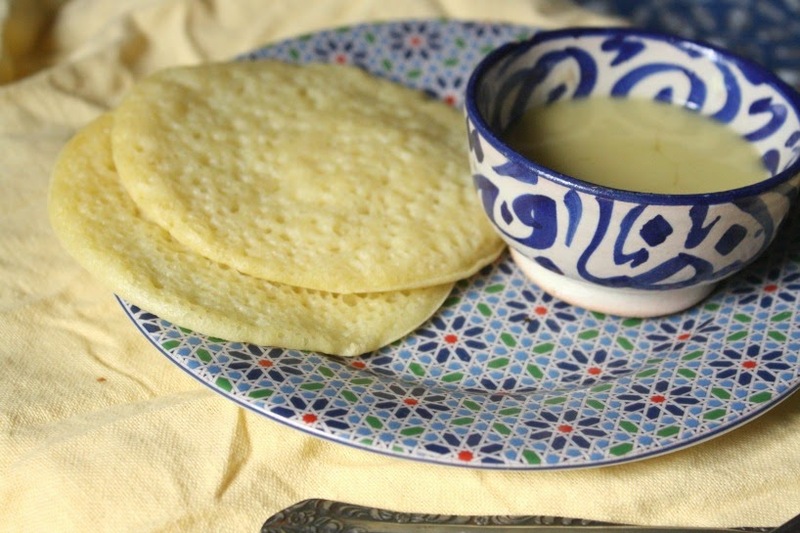 Serve them warm, and while traditionally a honey/butter drizzle is added – be creative! I think they’re wonderful with Nutella, my kids add maple syrup, powdered sugar and fruit – you name it! Annabelle told me her husband likes these and I hope you will too. Add all of the ingredients to a blender and whiz until everything is combined well. The mixture should be frothy. If you’re without a blender you can whisk by hand – first mix the dry ingredients, and slowly whisk in the wet ingredients to break up clumps. Cover the batter, and allow it to rest for 30 minutes. Add a few tablespoons of batter (just like you’re making pancakes). Cook on one side until the exposed side is full of little bubbles and dry to the touch. Remove from heat and continue until batter is gone. The beghrir are only cooked on one side. To make the butter honey drizzle melt butter and honey and add. If you like butter, add more butter to the mixture, if you like honey – add more honey! There’s no way to go wrong! 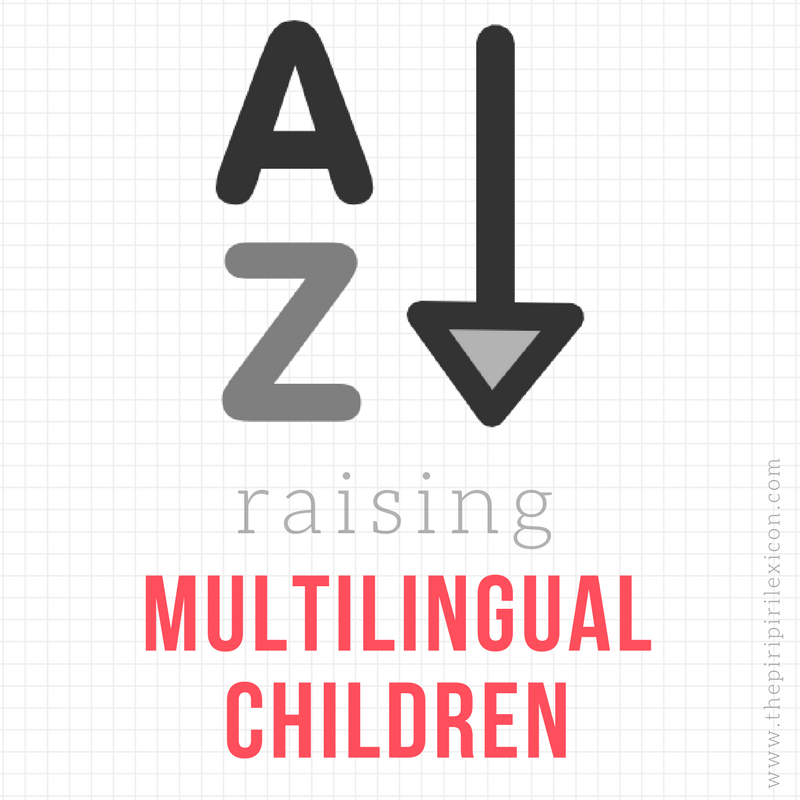 Bio: Amanda is an American expat living in Marrakech, Morocco with her husband and two boys. She blogs at MarocMama and can be found on Facebook and Instagram sharing snippets from her day to day life.